Echoing a number of similar reports this year, the career and professional social site says listings for blockchain developers have exploded. The reason: continued interest in cryptocurrency. LinkedIn today revealed its top five emerging careers and – in concert with other recent data – found that blockchain developer is at the top of the list. Job listings for those who can create distributed ledgers using a peer-to-peer topology – blockchain's construct – have grown 33-fold in the past year, according to LinkedIn's 2018 U.S. Emerging Jobs Report. 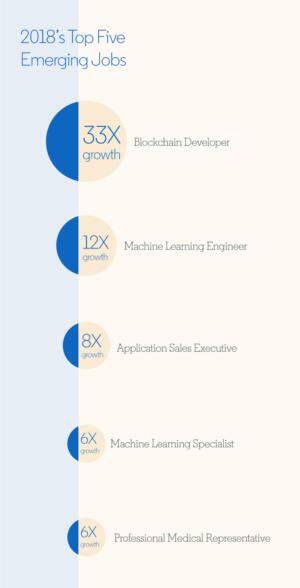 In distant second place are machine learning engineers, positions for which have grown 12-fold over the same period. Rounding out the top five jobs in 2018: Application sales executive, machine learning specialist and professional medical representative. "It's no surprise that we're seeing an explosion of machine learning roles and continuing growth of data science roles. In fact, we started to see glimmers of this in last year's report, however both fields are starting to see more specialized roles emerge," Guy Berger, LinkedIn's chief economist, wrote in a blog. "It also may not shock you that Blockchain Developer is topping the list following this year's surge in interest around blockchain and cryptocurrency." 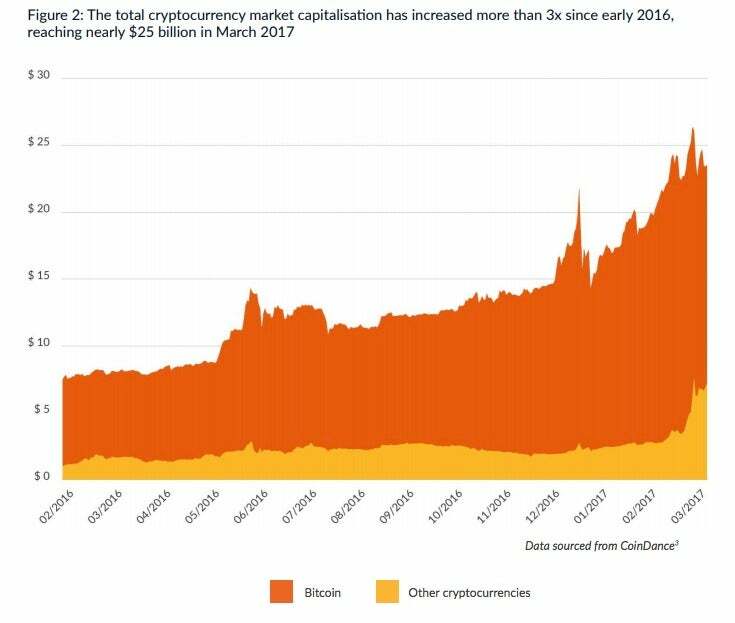 Even as cryptocurrencies such as bitcoin have lost as much as 80% of their value this year, the number of consumers purchasing the digital currencies has nearly doubled, according to a new report from the Cambridge Centre for Alternative Finance at the University of Cambridge. The current number of unique active users of cryptocurrency wallets – databases that store hash keys tied to owned digital currency – is estimated to be between 2.9 million and 5.8 million, according to the report. 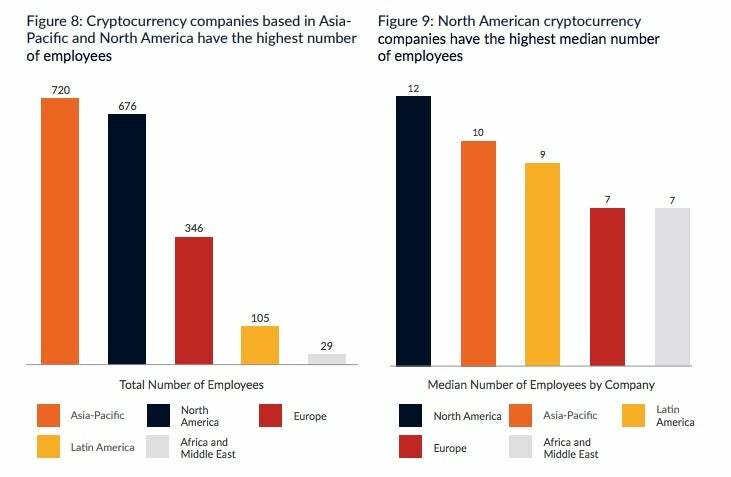 It was based on survey data from almost 150 cryptocurrency companies and individuals across 38 countries. At least 1,876 people are working full-time in the cryptocurrency industry; the actual number is likely well above 2,000 when large mining organizations and other organizations that did not provide headcounts are added, according to the University of Cambridge report. The companies surveyed indicated they have 21 full-time employees, on average, but the existence of several large companies with larger workforces could skew the average. Researchers said it's useful to also note the median number of employees, which is nine. The lines between differing cryptocurrency industry sectors are increasingly blurred: 31% of cryptocurrency companies operate across two or more sectors, giving rise to a growing number of universal cryptocurrency companies. The rush to find blockchain developers has also put upward pressure on salaries in the field. Blockchain developers now command as much as $175,000, according to Hired, a job recruitment firm. The top industries hiring are IT and related services, computer software and Internet firms. The three top firms hiring blockchain developers are IBM, ConsenSys, and Chainyard. The cities where demand for blockchain developers is highest include San Francisco, New York City and Atlanta, according to LinkedIn. 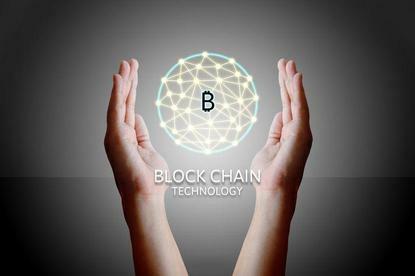 "Only time will tell if blockchain will be a long-standing trend in the job market," Berger noted. LinkedIn is just the latest job oriented site to highlight the surge in blockchain-related jobs. 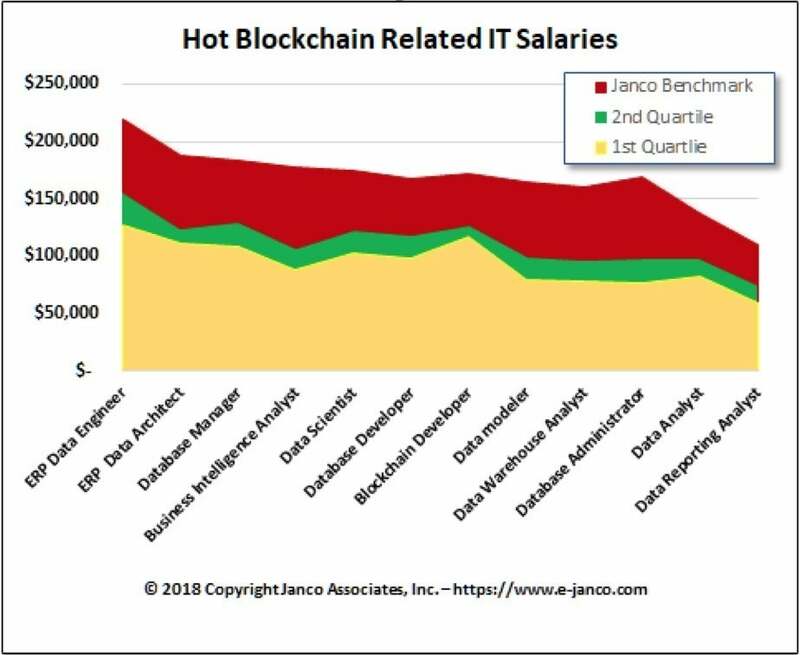 Janco Associates, a management consulting firm that conducts annual salary surveys, said in October that the median salary for a blockchain developer was $127,000, with experienced individuals commanding upwards of $172,000 when they move to new organizations. "ERP and Blockchain jobs are in great demand. Individuals can look forward to salaries continuing to increase," Janco CEO Victor Janulaitis said at the time. Hired CEO Mehul Patel said in an earlier interview that since launching blockchain as an expertise on his company's platform in late 2017, Hired has seen a 400% increase in demand for blockchain engineers. "Interestingly, blockchain engineer has not solidified itself as a standalone job title quite yet; instead, blockchain is increasingly being included as an area of expertise for back-end, solutions architects and machine-learning engineers," Patel said.